I'm a tad behind with my reviews thanks to a nasty toothache, but now I'm trying my best to catch up. Whilst the Illamasqua Intense Lipgloss in Maiden was released as part of their 2013 Christmas collection, it's definitely a colour than can be worn any time of the year! Expect a few more reviews from the Illamasqua Christmas Collection as I was lucky enough to get my hands on the entire collection (thank you, Illamasqua!) and have been super impressed! Maiden is described as a warm peach shade, which is fairly accurate. Being that it's part of the intense range, the colour is super pigmented, so what you see in the tube goes on your lips. I feel that because of this, it might be a tad difficult for some skin tones to pull off as "normal" makeup. Personally, I think if you love it, wear it - confidence is what looks good! I think this is a really cute colour, and while beauty rules dictate this isn't for everyone, I think this is a colour everyone would like; as while it is intense, it's more neutral than the other colours in the range. I have no idea what these kinds of applicators are called, so yeah. I don't mind these applicators and in terms of lipgloss application, definitely prefer them to a doe footer. I feel that with the thin tip, you can be really careful and keep within the lines, so to speak. This particularly comes in handy with such a pigmented product! I've thinned this out as much as possible so that it doesn't look too gluggy on the lips. I liked the colour, even in comparison to my pale skin, and thought it gave me a "my lips but better" look but in gloss form, if that makes sense. I did find that the colour, because of how light it was, clung to dry patches on my lips (as you can probably see, gulp) so lip exfoliation is a must. When it comes to the usual lipgloss complaints, I would narrow it down to three. Stickiness, wetness and longevity. Was it sticky? I did find mild stickiness with Maiden, but nothing too intense. I wouldn't say it was uncomfortable on the lips, as after a little while you forget you're wearing it unless a bit of hair gets caught. Was it wet? I would say this was definitely not wet. I hate wet lipglosses that feel like their practically slipping off your lips, and this is not one of them. How long did it last? This is where Maiden really impressed me! I swatched this, forgot about it, then went to have dinner and a drink and when I looked in the mirror again, I realised the lipgloss was still going strong! It may have needed a touch up, but nothing drastic! Overall I would say I liked this lipgloss, but if I was heading to an Illamasqua counter, this probably wouldn't have been my first choice. I liked it, and I would definitely wear it again. 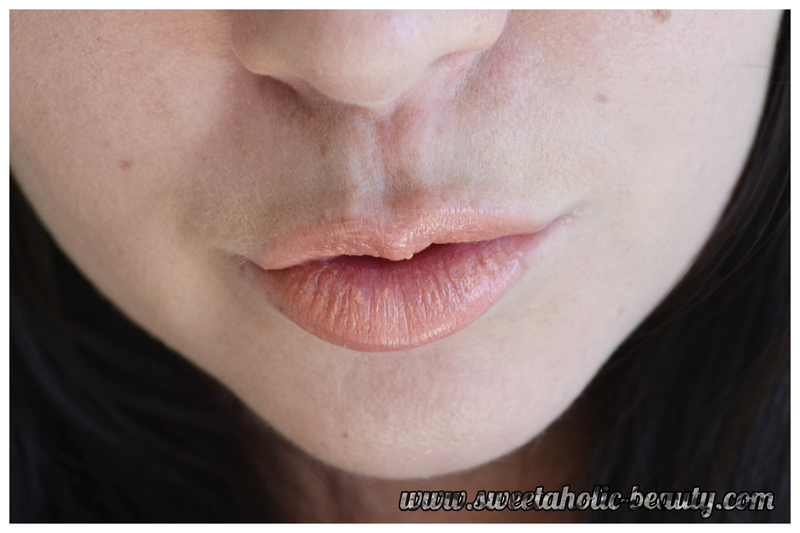 If you like lipglosses, I think you'd like this one! 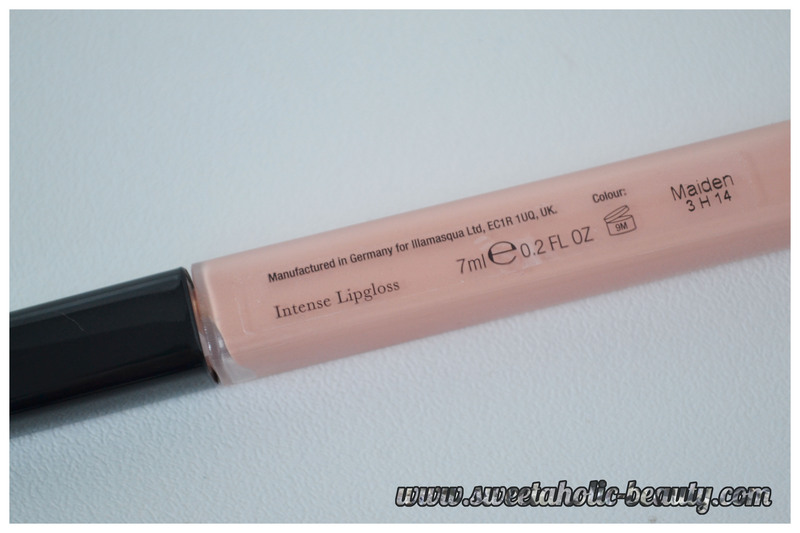 The Illamasqua Intense Lipglosses cost $22 for us Aussies. Have you tried the Illamasqua Intense Lipglosses before? Do you like the colour Maiden? 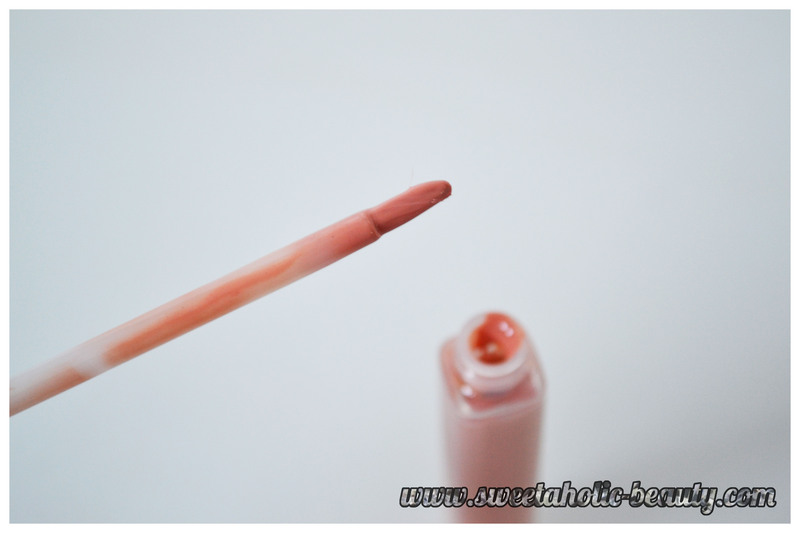 Its a brush applicator that comes with the intense lipglosses. I have the colour succubus which is a blood red that I bought for Christmas 2012 but just recently noticed it lying in my collection. I really like the colour payoff of these lipglosses. Looks like a shade I would like! And wow, the lasting power does sound impressive. This looks gorgeous on you! I've never been able to pull off peachy colours - so I'm infinitely jealous! Not a colour I'd usually pick, but certainly very pretty!